Making a marketing mistake is forgivable. But not correcting the error is tragic and can have undesirable consequences, like an unanswered request for information, (RFI). An active marketing Master Messaging Roadmap strategy, with a comprehensive marketing implementation plan digital marketing campaign, is as essential as an excellent safety record or being on time and on budget. Your digital marketing plan should be part of your Design or Construction firm’s business plan for success. There is a clear correlation between Design and Construction company’s success and positioning in the industry that does online marketing well, and those that don’t. Notice the great hook-lines, calls-to-action, and clear services. Learn from the leaders. Spectrum In our opinion the site feels dated. They appear to be more interested in finding new superintendents and laborers than attracting new clients. It’s a great firm with a poor online message. We can help them! Weitz – DELIVERING PROJECTS IN WAYS THAT CAN’T BE DUPLICATED – Not sure that is a great hook line! PCL Did we just dropped into the ’90s? I have worked with the great team at PCL in Denver on the Ellie Caulkins opera house. The website does not reflect the firm’s talent and experience. We can help these construction firms! Which firms have the best, persuasive, clearly defined online presence? Which ones do you think are attracting qualified clients? Which ones have a call-to-action that would entice you to act? Where is your website in comparison? Take a look now! Simply being online with some arbitrary Facebook posts is not online marketing. Your plan and implementation methodology must work! It should show quantifiable results. Misled by unscrupulous online website marketers? Many of us are victims — the sad stories of contractors from almost every trade and field from large General Contractors to Homebuilders, and the sub-trade electricians, plumbers, and suppliers that have spent thousands of dollars on their website and then thousands more on online marketing, only to have dismal results. 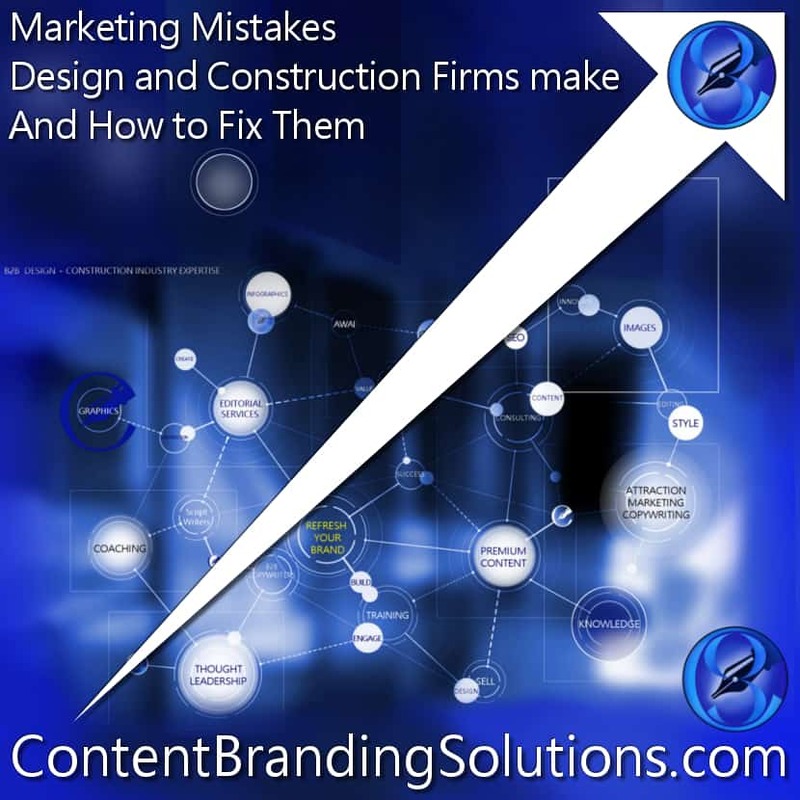 Apart from the obvious, no SEO, no meta description and keywords, not device friendly, etc., we will narrow down the seven (7) most common Design and Construction industry marketing mistakes, that we see repeated time after time. Knowing the seven common marketing mistakes can help you attract the right prospects and grow your business! 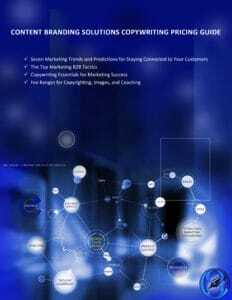 These marketing oversights, missteps, errors and slipups can cost your firm its position in the marketplace. Fix them ASAP. You will be surprised at how many firms do not know or are unsure of who their target market is! Who is yours? All firms should spend time evaluating who the core income-generating clients are. Your target market should be at the center of your marketing strategy, your messaging and where and how to market your business. Begin with a simple analysis with an excel spreadsheet of who your past and current clients are, what you did for them and the value of the contract. Sort this out into the highest contract values at the top down. Look for trends and indicators. The Trends and indicators are a great sample of who your future clients are going to be. Now dig down identifying multiple income-generating markets and loss makers. Stop marketing to the loss makers. Maximize your staffing and your core teams to match the demand and income generating areas. Cut the dead wood and invest in a marketing partner. Align your marketing strategy and website messaging around your target market and its associated markets. Your practice and core business should solve a problem and create value for your target audience. Problem-solving and creating value is where communicating your message and a unique sales proposition (USP) is essential. The USP is your messaging. Why is this important? First-time visitors don’t know what you do; you have fifteen (15) seconds to tell them and convince them to stay before they click through. On one sub-consultants’ site, I visited the messaging was so confusing that I thought they were Architects. It turns out they were Cost Consultants! First impressions are crucial. Fifteen seconds is a tiny window for you to convince a reader that your product and or service meets their needs. Check out what a visitor to your website sees. Now, go to multiple members of your firm and ask them to open the site on multiple devices and give you their first impression. Your website should communicate your messaging. Your promise should come through clearly on all devices showcasing your product and services, clearly and persuasively. Marketing messages, creative pitches, and hooks should be short, snappy, and easy to read communicating the value, benefits, and, promises that your company brings. If your Design and Construction industry firm is only showcasing that you are “competent and qualified” you have not narrowed down the competition. Every Team in the NFL is “competent and qualified” to play football! But only one team will win the Super Bowl. If you are just “competent and qualified” you have not targeted your prospective ideal client or helping to narrow down the potential prospect’s decision to you. You are competing with over 6,500 of America’s leading general contractors, and 9,000 plus specialty-contracting firms, not to mention more than 10,500 service providers and suppliers. (AGC, 2018). those are terrible odds. Increase your odds by standing out from the crowd! Stand out from the crowd. Differentiate yourselves from other construction companies. Research the competition, find a weakness and exploit it by highlighting your superior skills and expertise in this area. Company A is qualified, but the corporate structure as an employee-owned firm means that decision-making prosses might be slow and cumbersome. Company B is qualified. Its decision-making process is clearly defined and well structured. Who Would You Select? Who Would You Trust with Your Money? Clearly defining your expertise online; Why is your firm the first choice for that buyer and project? How do you address their concerns? Have you got a call to action? The first contact and impression of your firm will be online. In today’s digital world they may have searched for you through Google, found you in a local construction magazine or news source or been referred to you. The first contact and impressions will often be through your website. Your online presence is a WEB-BASED GENERAL SALES MANAGER that can attract your target clients 24/7/365. You are paying for it, so get it working for You. What do clients do when they arrive at your website? The 15 Second Rule: Why you should care more about your bounce rate, and how long your visitors stay than the number of visitors. Focus on “dwell time,” rather than vanity metrics like page views. Creating quality content is extremely important because Google cares about how deep people navigate into your site, whether they hit the back button, and worst of all, whether they return to the search results page because they didn’t find the information they were looking for.” – Jon Lister, Strategist, SEO at Elite SEM shared this advice at Klaviyo’s E-commerce Summit. Focus on your image and readable 15 second messaging. Invest in premium content and a professional website created by a firm of Design + Construction Industry Experts who know your industry. After all, your attraction marketing website copy should be working 365/24/7 as your General Sales Manager, and prospecting machine. Your Website may be ineffective and out-of-date. Is the landing page layout and colors the trendy 2010 trend? 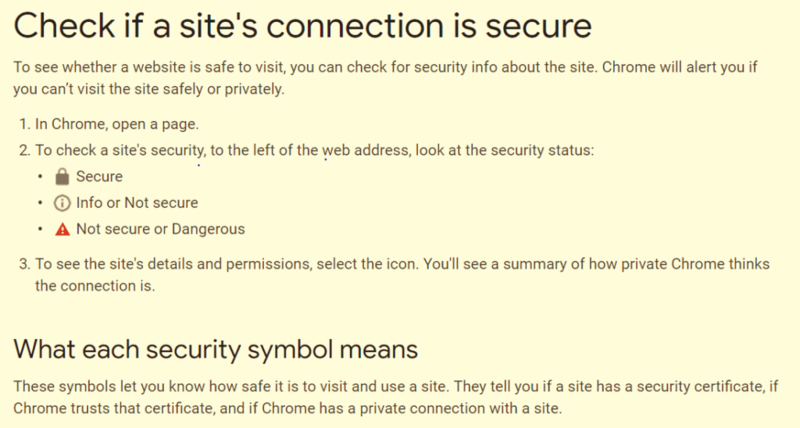 Do you have an SSL certificate (Secure Sockets Layer) that provides secure, encrypted communications between your website and an internet browser? Check if your site is secure. Is your Project Gallery drab? Are you showing images of a reception desk, empty lobby or beer bottles around a conference table? Is your last blog post more than a year old? When did you win your last award? 2005! You get the picture. If you answer yes to any of these, I am going to guess that you haven’t updated your website. Clients who visit your site will probably think your business is inactive, that you are no longer the go-to firm, the experts in the field who leads the industry. Make sure that copyright and blog posts are up-to-date so that your targeted clients will see that your business is still active, and your superstars are alive and well. Make sure your website software and plugins are up to date and your calls-to-action link correctly. Share your successes. Show your targeted potential clients how your existing client’s value and benefit from the collaboration. Develop short, interesting documentary style project updates and reviews, utilize images and client statements, with solutions to challenges that the team solved to show that you are the expert in the field. Provide before and after photos linked to persuasive copy that is beneficial and provides value to your target market. Share your knowledge as the thought leadership group with the go-to team. Without any analytics in place, you are making decisions with limited information. As a minimum, you should use Google Analytics, it is easy to install and follow. If your marketing team is not reviewing your website analytics on a regular basis, you are missing out on a tremendous opportunity to increase your construction firms sales. 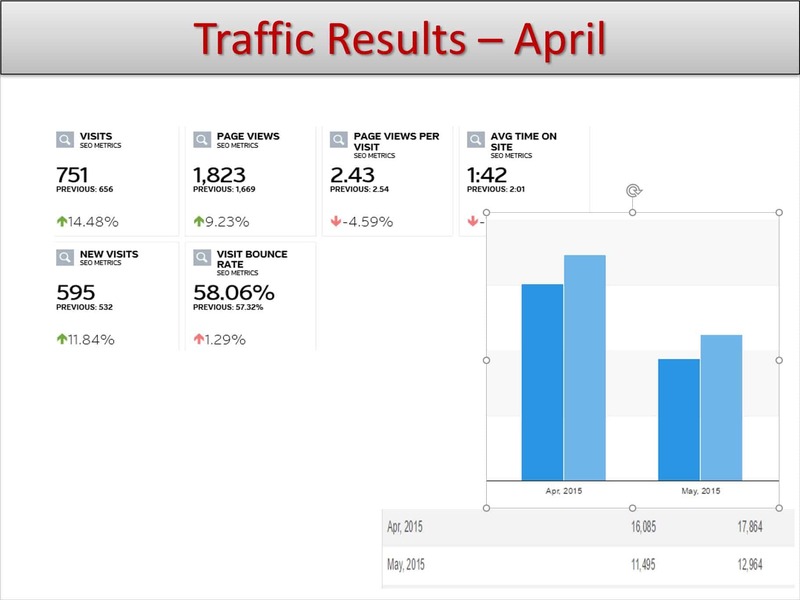 Analytics are your website report card. Review the data regularly to ensure your firm’s online presence is performing at its peak potential. Adapt and change to make improvements, as you understand your core target clients, needs and concerns to engage with them more effectively. Not sure what marketing mistakes you have and the best way to fix them? Get in touch; we can help. Making a marketing mistake is unavoidable after all we are human. Minimizing mistakes and errors is the key to success. But not correcting the error is tragic and can have undesirable consequences, like an unanswered request for information, (RFI). Don’t Get Upside down by making marketing bloopers; create the content marketing funnel that attracts, converts, and sells your product. 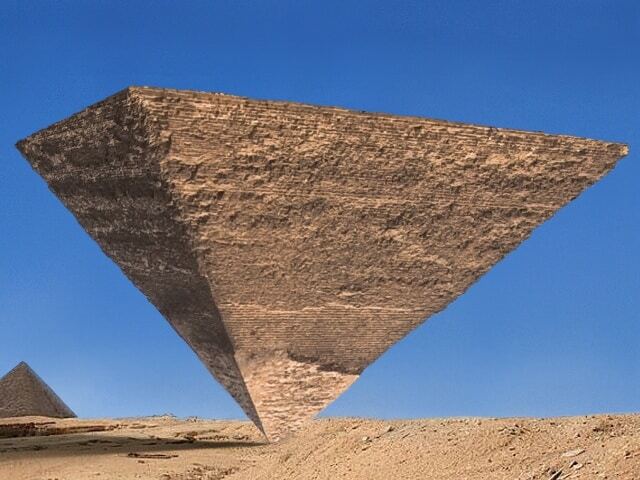 An upside-down pyramid makes a great content funnel. With three decades of Knowledge of the Design and Construction industry, as a business marketing director, award-winning designer, theatre consultant, Amazon bestselling, author, award-winning illustrator, and editor I am ready to help you market your business. We help Design and Construction firms envision their goals and deliver the content to succeed in a competitive market. With a well thought out consistent content marketing strategy, you can efficiently grow your construction business.